Christmas is a compound word composed of the words Christ and Mass. The origin of the word comes from an Old English word Crīstesmæsse and Middle English word Cristemasse meaning “Christ‘s Mass“. Christmas Day is an annual celebration to commemorate the birth of Jesus Christ. Christmas is commonly observed by as a religious and cultural celebration among billions of people around the world most commonly on December 25. In the Philippines, Christmas is the time when everybody holds a reunion of the whole clan and of a school or an organization, or a simple get together with family and friends. Christmas is when Ninongs and Ninangs give gifts to their godchildren. Christmas is a time spent with family and God. Christmas is a time for giving, sharing and of love. It is the time of the year when we heartily express our love towards our family and relatives. It is the time of the year that we celebrate the birth of our Lord only Son, Jesus Christ. Filipinos celebrate Christmas in the spirit of joy and family. The celebration starts with a novena mass from the 16th of December. 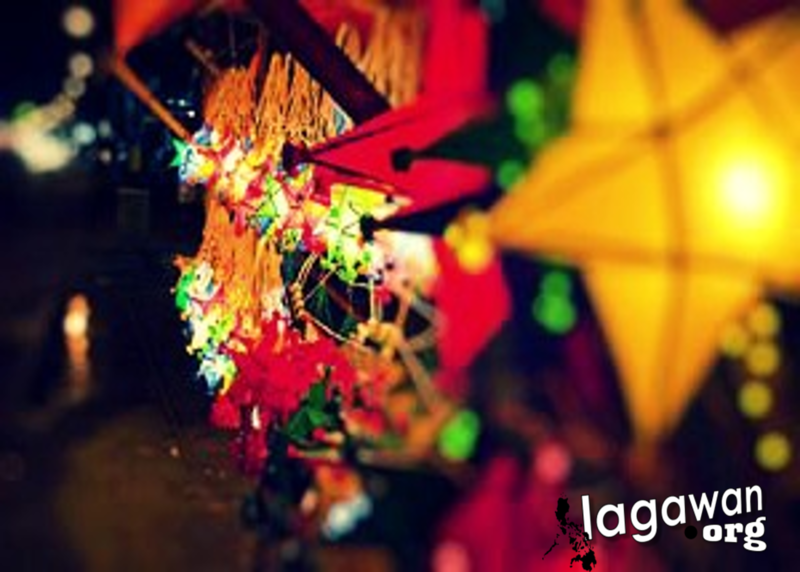 Usually it is held during dawn in which is popularly known as “Misa de Gallo” or “Simbang Gabi” by the Tagalogs. Almost all Catholic Filipinos really wake up early during this 9 days dawn mass devotion. This is also a novena prayer for the Blessed Virgin Mary as considered by many. Catholic Filipinos believe that upon completing the 9 masses your hearts wishes will be granted and/or you will receive abundant gifts throughout the whole year. At the start of the novena masses is also the start of hearing jingles and carols amongst the streets in the Philippines. Kids and Kids at heart offer Christmas songs for every household in exchange of gifts or some cash. They usually go with hand-made drums, tambourines and guitars as for their accompaniments. You will also notice houses and public parks are already adorned with colorful Christmas lights and decors. Simbang Gabi does not only shows and strengthens family bonds but also intensifies and portrays how faithfully strong the Filipinos are. Simbang Gabi is held as to prepare devotees and parishioners spiritually for the birth of Jesus Christ. It does not really matter on how many early morning masses you have attended but what matter most is the dedication and the purity of your intentions upon celebrating the mass. On the evening prior to the day of the birth of Christ, a mass is usually held at midnight to commemorate the birth and the coming of the Lord. Family, relatives and friends comes in the mass and you can really see how Filipinos values Christmas through the numbers of attendees. Noche Buena generally follows the mass, where best foods and delicacies are prepared for the whole family. Games and other activities then follows, party all the way! Giving gifts are also taken place at this time or in the morning. Godchildren go to their godparent’s houses to collect their gifts. In the midst of the happiness we feel during Christmas, the gifts, the gatherings, the foods and the party, Filipinos never forget that it is a celebration of the Birth of Jesus Christ. All of the celebration and preparation is all for His Glory and His Name.